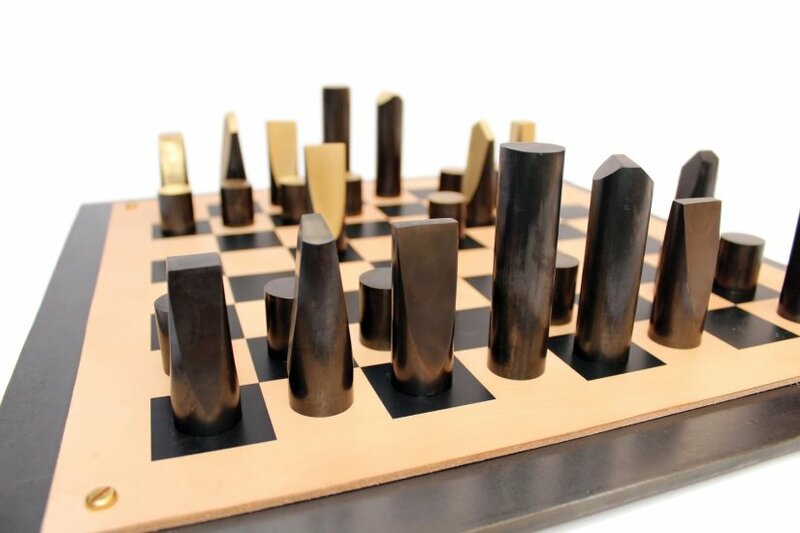 The 'Slice' chess set uses a rich palette of materials including hot-rolled steel plate, leather and solid brass, and is in keeping with Hasan's favor for the robust materials with which he works. The chessmen are formed by taking 'slices' from a length of patinated brass rod in a multi-step process that sees the material cut, sanded and polished to reveal a golden facet. 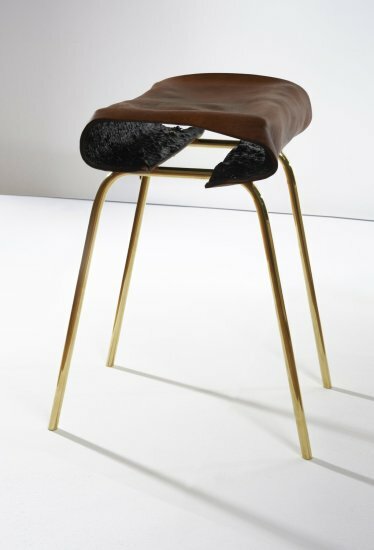 The brass is patinated so that one player has pieces in a striking black and gold colour, whilst the opposing side is matte black. The board is screenprinted leather mounted on a black steel base. 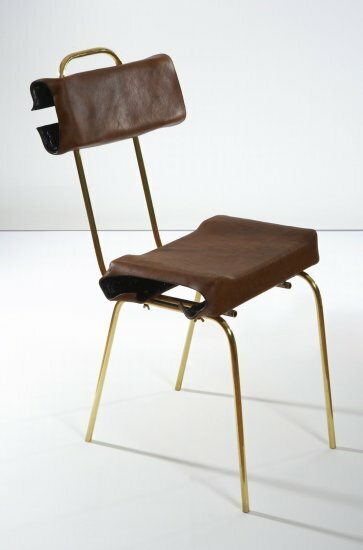 Simon Hasan works in the territory between ancient crafts processes and industrial design. His work is imbued with a richness and texture borne from the combined use of techniques and materials from these two contradictory worlds. Hasan describes his approach as a type of 'Design Archaeology; a combination of historical research and hands-on material experimentation'. 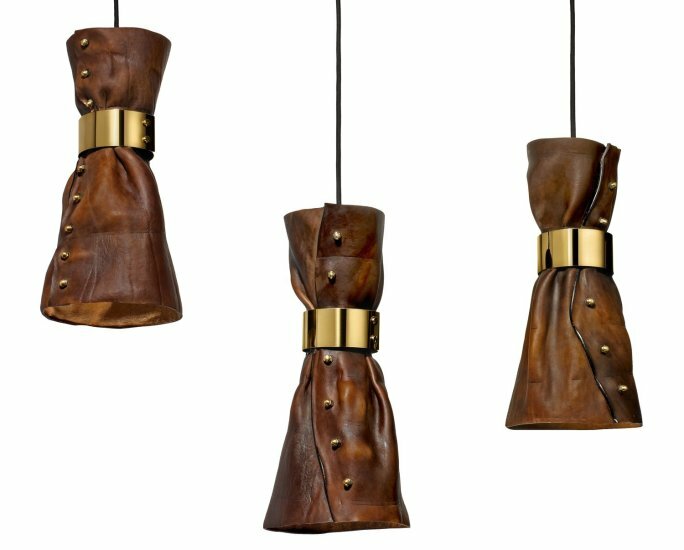 His goal is to create long-lasting objects with a story to tell - this chess set, which utlises industrial techniques such as hot-rolling steel, patinating brass and screenprinting leather - is in keeping with Hasan's favor for a more brutal and atavistic approach to the materials with which he works.